How to update latest MacBook pro EFI firmware manually? In short, the firmware cannot be updated either by upgrading macOS to High Sierra or by bless manually. Here comes the detail. Failed with error message "An error occurred while verifying firmware". Key info in ia.log is as following. Clearing automation and attempting to rebless. Failed to get disk for UUID specified for rebless. If look into previous log of EFI updating, it seems they are quite normal. Thus, I've no idea why High Sierra installer failed to update the EFI firmware at the very first time. According to the chapter 2.0 How Does a Mac Update Its EFI Firmware & How Do You Find Your EFI Version of The Apple of Your EFI , with the following command bless, the file MBP91_00D3_B0C_LOCKED.scap extracted from mac2015002efiupdate.dmg, which downloaded from Apple.com, and the file MBP91_00D7_B00.scap extracted from Install macOS High Sierra.app, it executed successfully. Shutdown, Power on. It got a flashing LED light indicating the firmware was about to be updated. Then, 3 times power off automatically in a short period, end up with a normal OS X startup. Everything stay still. In another word, the Boot ROM Version hasn't been changed. I've just seem a related post Is there any way to manually bless firmware when main disk is external? It seems that the root cause is running OS X from a second internal disk. Unfortunately the first one of my MacBook is out of order. Confirmed the following methods do not work. kept internal hard drive connected, connected the USB external drive or SXCARD reader. It selected the ESP on internal hard drive as the staging EFI. Thus, same result as above. No appropriate ESP could be found. Error while writing firmware updater for EFI. The EFI partition is used when the firmware is updated. I assume this EFI partition must be on the primary internal disk. Apple posted that firmware updates require a GUID partition scheme at the archived website Firmware updates for Intel-based Macs require a GUID partition scheme, although the site does not explicitly say this must be the primary drive. 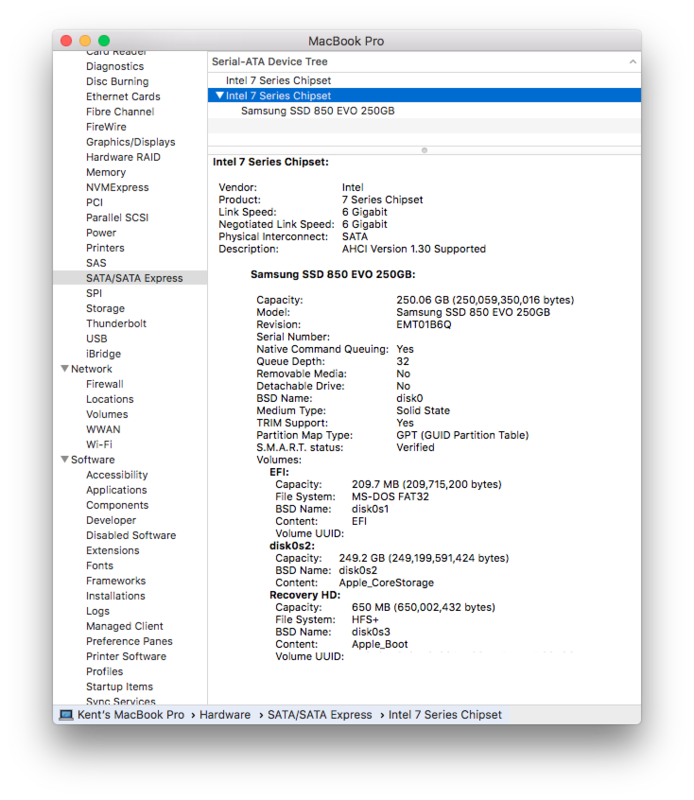 When a SDD or HDD is formatted to use a GUID partition scheme by the Disk Utility or diskutil command, the EFI partition is automatically created. Basically, the firmware update is copied to the FAT32 formatted EFI partition. The firmware is then instructed to update itself. Basically, the same procedure occurs for firmware updates on my HP PC running Windows. So, this is not unique to Apple Macs. Having to update the firmware to run High Sierra makes sense. The APFS is new and older Macs would need a firmware update before being able to recognize this filesystem and read the boot files. You used to manually update the firmware. At some point, Apple decided to include firmware updates in the macOS installs. Apple posted this in the now archived website About EFI and SMC firmware updates for Intel-based Mac computers. Just wanted to post on this topic since I had a related problem in an Apple store yesterday and this was the post I found. Apple had replaced my logic board but didn't install the newer firmware and so I could no longer boot off of my existing SSD drive (which was formatted with APFS, and had my original Mojave and all of my files). Luckily one of the geniuses had a good idea. Boot off of Mojave on a USB, and plug in a new blank external hard drive, and install Mojave onto that. As part of the installation process, the firmware was installed. Then, the USB stick and external hard drive were removed, the machine rebooted, and it could finally boot off of its original Mojave on the existing SSD drive. Key point: Get the primary internal disk work. Then unplug the second internal disk. 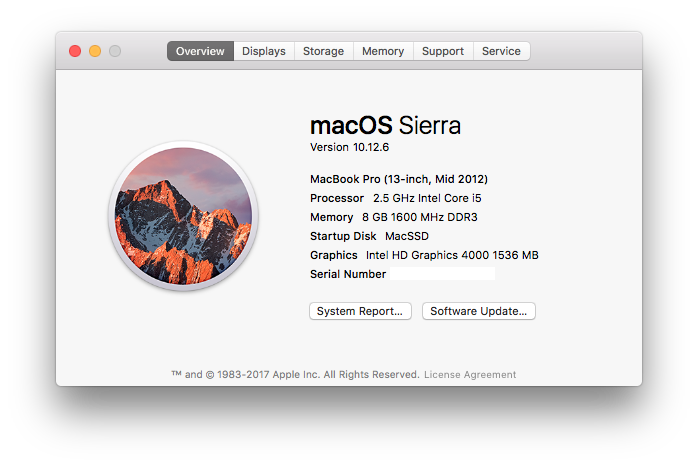 Boot the machine with an USB to install high sierra, by following the standard installation guide. After that, the firmware will be upgraded. Alternatively, you may use bless to update it manually, as long as the primary internal disk is there. Putting an original hard disk drive in the MacBook Pro and building off my Samsung SSD via the USB port resolve the firmware update issue for me. Not the answer you're looking for? 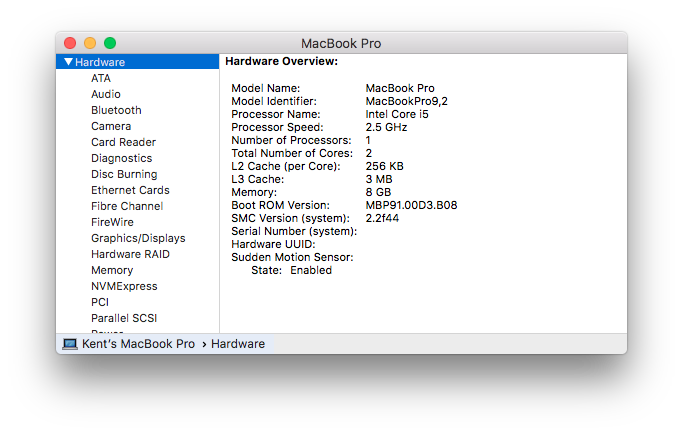 Browse other questions tagged macbook high-sierra efi firmware . Is there any way to manually bless firmware when main disk is external? Where is the EFI stored on the macbook and is it possible to restore a previous EFI firmware version? Early 2011 MacBook Pro not booting, damaged firmware? MacBook Pro 15" Mid 2010 Update Firmware to read APFS hard drive? Is there a way to update a Mac to High Sierra or Mojave if OEM SSD is unavailable?